I first came across MMB in year 2003 when I was facing some feeding difficulties with JS, I came across MMB while doing a search for local support group through the internet, however I didn’t join as a member or knew nothing much about the forum until year 2004 when one of my ex-colleague who was breastfeeding her son told me about the forum. At that time I was preggy with WH and had wanted very much to succesfully breastfeed him. So I joined the forum in April 2004 and gained much of the breastfeeding knowledge that I needed to know from there. Just in case you have not heard about MMB, it stands for My Moms Best, founded by our blogging tar kar jie – 5Xmom in year 2002. 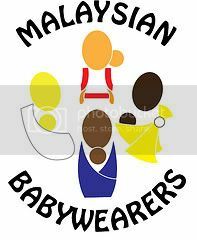 MMB is a Pregnancy, Parenting & most importantly Breastfeeding website & forum specialy tailored for Malaysian & S’porean mums. I didn’t join all the events as that time my kids were still young. In year 2004, I was preggy and caring for a 1 year plus JS and in year 2005, caring for JS and a newborn WH. This year one of MMB senior member, Ros proposed to have another round of presents giving during Motherâ€™s Day to mother who are taking care of their sick children in hospital. Like what they did in year 2005 and 2004. I think this will be a good drive as to show a little appreciation and support to all the mothers who are taking care of the sick children in the hospital. It might not meant alot, but certainly will cheer them up a little apart from been constantly worried about their sick kids. Hope that some of you may help no matter in terms of donation, physical help or just by spreading the words.